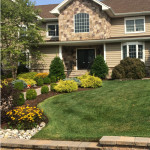 About Us - Cannizzaro Landscaping, Inc.
Cannizzaro Landscaping is a leader in landscape design in the New Jersey/New York area. For more than 10 years, Cannizzaro Landscaping has been delivering beautiful designs, quality, service, and value to its customers. The Cannizzaro team is fully licensed, insured, and trained. Whether you’re a homeowner looking for a makeover, a business wanting a fresh look, or a property manager seeking a reliable service provider, Cannizzaro Landscaping is your source for all of your landscaping, design, snow removal, and maintenance needs.